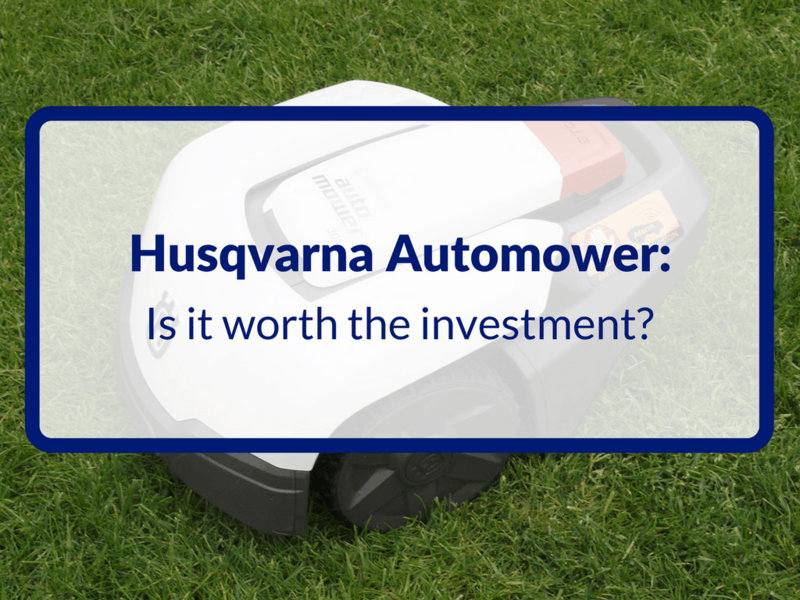 Within this review I’ll be explaining everything you need to know about the Husqvarna 315 Automower model. 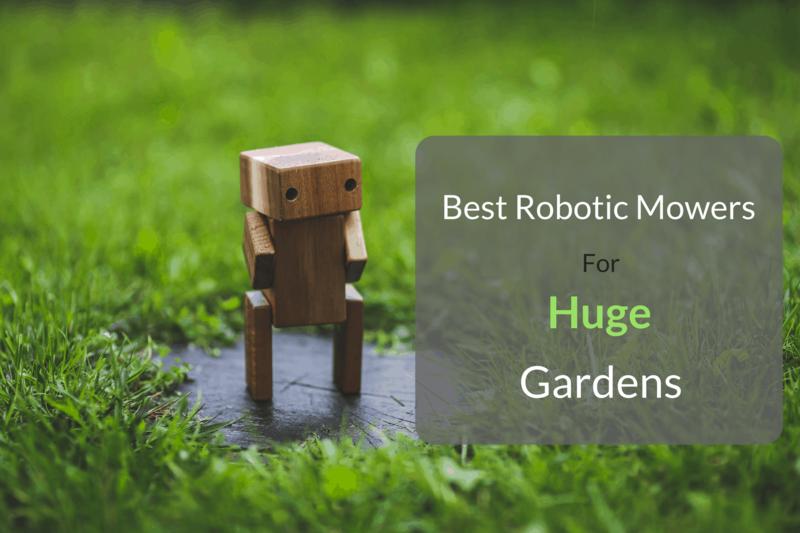 It provides a brilliant and reliable cut, a very efficient navigation and power system, and it can handle even the most complex of lawns, but does it deserve a place in your yard? I’ll be running through all of its features and capabilities and will compare it to its closest competitors so if you want to find out you’ll need to stick around! The 315 can cover lawns reaching 1500 m² in size so for those with lawns this big it would likely take you about 1 – 2 hours to mow the lawn yourself with a manual push mower and you would probably only do this once a week. I have no doubts that your lawn will look great immediately afterwards, but what about after 3 – 4 days. It probably begins to look a rugged and maybe the grass starts to grow a little uneven. Well that’s when the 315 comes to the rescue. It will cover this area with no problems and can do it as many times as you want – even every day is you so pleased – taking a huge weight off your shoulders. All is required of you is to check up on the mowers work after each cut and make adjustments accordingly. Now I don’t mean big, drastic changes but once like shortening the cutting height as the weeks go one. The 315 is powered using a lithium-ion battery which it charges automatically once low on power using its own charging station. It only takes about 60 minutes to charge and produces a running time of 70 minutes. The 315 comes with a replaceable battery that is located in the chassis and doesn’t have to be unplugged to recharge. As mentioned above, this automower (like all in the market) has its own charging station which it leads itself to automatically. The battery only consumes 25W while cutting and the charger will only consume 1.3 amps. Compared to the standard electric or petrol mower, this will save you quite a bit of money depending on where you live. The 315 is equipped with 3 razor sharp, carbon steel, cutting blades attached to a rotating disk in the centre of its base. As they are not fixed in one place, the blades just fly out due to centrifugal force. Because of this they are only powerful enough to cut through the grass and nothing else. So when a small object (like stones, toys or twigs) crawls under the bot, the will not be damaged, and neither will the blades. 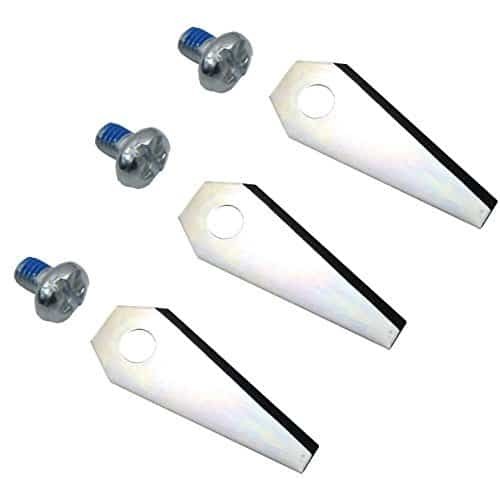 This solves a big problem that affects most models in the market and makes the point clear that you don’t need a large blade to be an effective mower. A very simple system is all that is needed. This means you won’t have to clear the lawn before every mow like you would with most mowers. And when the 315 does come into contact with any object, its sensors will automatically switch of its rotating disk. Reducing the damage (even if only little) caused to the blades. It will then turn round and continue to mow in a different route. Unless of course the object it small enough to slip under the mower without any problems. 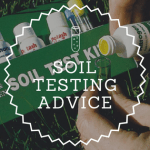 This makes for a greener, thicker and healthier looking lawn – and it’ll also save you time and money on applying a fertiliser every year! The unit is capable of mowing on areas where the slope reaches 22° which is a little higher than most competitors can reach (only by 2°). But I must say, the Husqvarna models handle these so much better than other models. Most (not all) would either get stuck and turn off or begin to trundle down the hill again. Whereas as the Husqvarna models will glide up them with ease. So to those with a slopped yards, no mower will be able to deal with your lawn better than these models. For times where the 315 needs to stop and turn, the slope should not exceed 15% as it may begin to struggle. This feature is to ensure proper mowing over longer areas of grass. Just place the mower in an area of long grass and select the “Spot Cutting” mode. It will then cover the chosen area in tight spirals and once finished resume automatic mode. This is particularly useful for areas under garden furniture, once the furniture is removed of course. So that it can calculate the best way through the narrowest of gaps, the 315 has special built-in sensors which detect narrow passages. Once the data is recorded the 315 will vary its route through those passages to avoid unpleasant tracks. This reduces the possibility of the mower getting in any sticky situations, which you would have had to manually have to lift it out of. The unit has an easy to use settings panel which lets you to personalise its settings to your lawn. For example, you can use it to choose which days and times you want the 315 to operate. Not only that, you can change its cutting height as well, from anywhere between 0.8 in – 2.4 in. Simply decide which length you want and then turn one large knob on top of the unit. But make sure you don’t set this to the shortest length straight away. 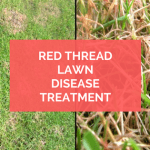 By doing this you won’t make use of the ‘mulching function’ – and if you want a great looking lawn, you will definitely want to make use of it! 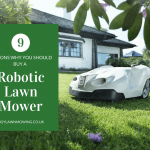 So this feature is not so special but it definitely help remove you from the whole lawn mowing experience – the whole point to a robotic lawn mower. First you’ll need to get the Husqvarna App sim card can plug it into your automower and download the Husqvarna App to your phone. You can either do this through the app store for iPhones or through the Google Play store for android users. Once you have downloaded it you will have to create a new account and just follow the steps. From here you can give the mower a name and then connect it to your phone. Once you have the app up and running, you can begin making changes to 315 mowing system. You can do stuff like alter its mowing schedule, cutting height and send it out or bring it back from a mow. It also shows & notifies you of any problems caused to the mower at any point and shows you a map of the yard. From this you can see the progress it has made throughout the day using a heat map or a line trail. Now I’m not going to say this is any better than the others because in fact is on par with the like of Bosch and Robomow. But take nothing away from it. This is a great feature and will prove very useful during winter when the last thing you want to do is go out and fiddle around with a freezing cold robot. A unique feature of the 315 is its lawn height sensors. These enable this model to adapt its schedule according to the lawn’s changing growth throughout the year. So in times of strong grass growth the 315 will maximise mowing for a more effective cut. In periods of sunny or dry weather the 315 will spend less time mowing, preserving your grass and reducing wear on your mower. As the 315 has an electric motor it doesn’t produce harmful emissions and also operates at a very quiet 58 dB, so no noise pollution either. This lets you program it to work during the night, it won’t wake you up and will certainly keep the neighbours happy! Due to efficient energy management and unique cutting system, the 315 consumes low quantities of energy. Therefore it operates at a fraction of the cost of conventional lawnmowers. The 315 is designed to work your lawn constantly throughout the year, functioning fully and unattended regardless of weather conditions. This is because it has been designed to handle the harsh Nordic climates. But if you feel your lawn might prove a struggle for the 315, then you can order special coarse-treaded wheels. These provide excellent traction in slippery and wet conditions. When the weather gets too bad, to the point where your lawn would only be damaged by cutting the 315 will sense this and retreat back to its charging station. The only real problem that the mower can’t deal with is frost. When it gets really cold, the bottom of the mower may freeze over, stopping it in its tracks. To ensure complete safety to you, your children and pets the 315 has several built-in safety features. If at any point during mowing you attempt to pick up the 315, or if for any reason it tips over, the cutting disk will automatically stop rotating preventing any injuries to the hand. And as an extra precaution, the 315 has adequate space between its border and blades. Leaving just enough room for your fingers. As said earlier, 315 has ‘remote object detection’ as well as bump sensors. So when the unit comes into near contact with an obstacle during its route, it will stop, redirect itself and continue mowing in a different direction. It will then avoid this area for future mowing. And finally, a PIN and alarm security system has been built-in to prevent operation by anyone unfamiliar with the controls. This should scare off the odd burglar who tries to chance his luck and will stop the kids trying to use it without your supervision. If any unusual activity does occur, you’ll be sent notifications to your phone (provided you downloaded the app). Okay so yeah the 315 is not a perfect mower, it does have some flaws but it has a lot less than most of its competitors. So I’ll run through them here. Like all mowers, this model can’t reach any grass outside of its loop wire so you will have to do some trimming every few days. And that’s it. Only one flaw in an otherwise perfect mower. I assume you can see why I rate this models so highly. Husqvarna have produced one of the greatest robot mowers on the market today, in fact I think it sets the standard to which all competitors must aspire. The ability to adapt its mowing schedule based on the length of grass is truly innovative and the large variety of features available make it an extremely versatile mower. You will have to make quite a big financial investment for this model, so it will take some serious consideration. But with all the features on offer here, I think it’s well worth it. You’ll love all of the features it has that make lawn care so much easier and, more importantly, you’ll love the results! Now the only way to receive maximum results and all the benefits accompanied with the 315 is to make sure that it’s suited to your lawn. Of course this is just a guide and is open to interpretation but hopefully it’s a little clearer to you whether or not you should purchase this model. 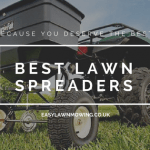 Although if you’re still a little stuck then please leave me a comment below, I’ll do my best to answer your questions and help you find the perfect mower. Wow, this is one of the most interesting lawnmowers I’ve ever seen! Check that, it is DEFINITELY the most interesting lawnmower I’ve ever seen. The Husqvarna 315 Automower looks more like a prototype of a sports car from 2075 than a lawnmower. And really, when you compare it to riding mowers, that price tag isn’t too bad. Very cool! Yeah I think they’re pretty cool and I always picture them as little batmobiles because of thieir slick, black design. And if you’re comparing them riding mowers then I can imagine you’ve got a large lawn. If so make sure to check out the Husqvarna models. They are the top of the range and specifically designed to cover very large areas. So would suit you the best! This is a worth of getting for someone who has, like you said, busy and a large garden area. Perfectly for the wealthy who lives at a stylish, neighborhood. Talk about making our lives easier. Well, as they say, you pay what you get. Hence, a considerable investment would provide a considerable help as a return. I think it covers everything including sensors and mulching? That’s an added value. 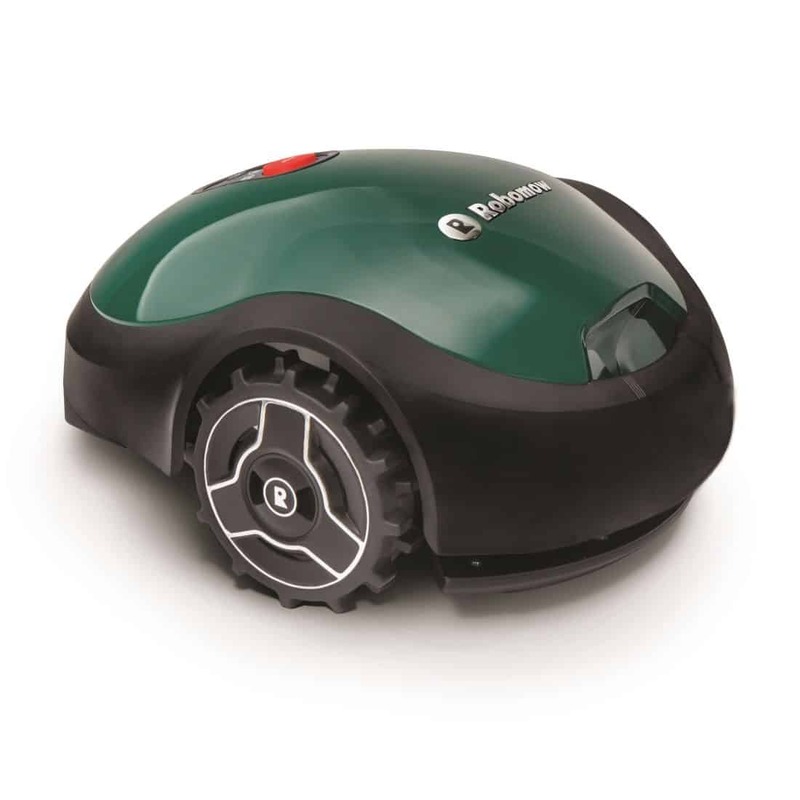 Who would have thought of having a robotic mower which can enhance grass growth? Yeah I know you would think that robomowers only make the task easier on the user when in fact they actually do a better job. I think many people are unaware of this and considering how good a job it does, I think it is something that must be made clear. So maybe they arent just for the busy, maybe even the keen gardeners will make just as much use out of it, maybe even more. Wow, this is one of the coolest things i’ve seen yet. I had no idea that robotic lawn mowers existed so my mind is blown right now! It’s also pretty great that there’s no need to have a bag to catch the clippings like you do with regular lawn mowers. Thank you for the detailed information on this awesome gadget! Brilliant Belle, I’m glad you enjoyed my review! They really are cool machines, taking so much effort off your hands to do what you want, all the while giving you a great looking lawn. It’s just one of the reasons why I love them so much. Wow I did not know this existed! sounds like a dream come true. I hate having to maintain my lawn and it sounds like it is better for the grass. Also like the design, looks like a luxury car. Do they have to be sharpened? if so how often? Yeah I’m the same Rob, mowing has always seemed like a chore to me which is why I love them so much! Because these blades are small and thin, they don’t last as long as they bigger ones you’d find on normal mowers, so you’ll have to change every month or so. 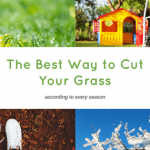 Just keep your eye on the mower though, if it seems to be cutting a little worse than usual then the blades are most likely worn out and blunt. At which point you would just replace them. This could be quite annoying but it keeps your lawn in great knick so it’ll be worth it. Make sure you check out my Husvarna Maintenance page, here I’ve talked through the changing blades process and theres a video showing you how to do it correctly. Wow, this lawn mower looks amazing! 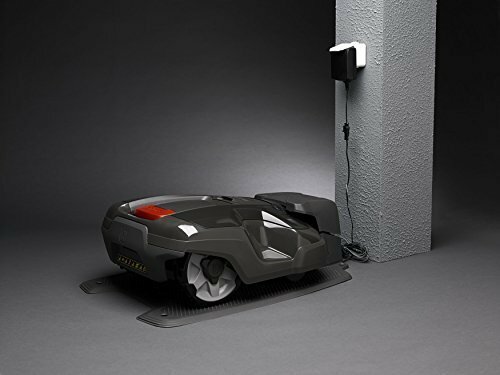 I have a Roomba Vacuum cleaner that runs all day in my house and I absolutely love it so I was looking for a similar solution for my lawn. I just wanted to know, is this safe for pets? I have two big dogs that like to chase anything that moves and they also like to chew on things in the yard. Is the material pretty strong and would it be dangerous at all? Thanks! Yeah no worries Jude, it’ll have no problems with your dogs. The 315 has built in sensors and programs which prevent it from damaging or causing harm to anything. Also, the material used is very strong and robust so it’ll withstand all the wear and tear that comes with everyday mowing. 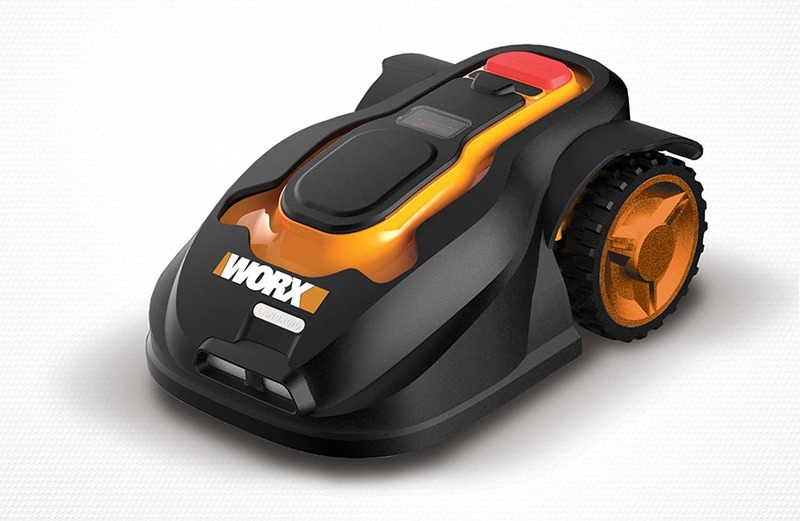 And if you love the Roomba, then you’ll this mower even more. Compared to that of a regular mower, the 315 produces a much better result and finish. So not only will you save time and effort but your garden will benefit aswell. It’s a great product and I know you’ll love it. Thanks for the comment and if you have any other questions then please just ask! Hello Mark, thanks for the very useful review…trying to choose a robot mower for my husband and its a bit of a mine field! Can the Husqvarna cope with separate areas of lawn with hard surfaces in between or would it need manually lifting to these? Yeah they should be able to Lydia, if the areas are connected by a path of some sort that the mower can actually travel over. It has tough, coarse-treaded wheels so the hard surfaces won’t be a problem. 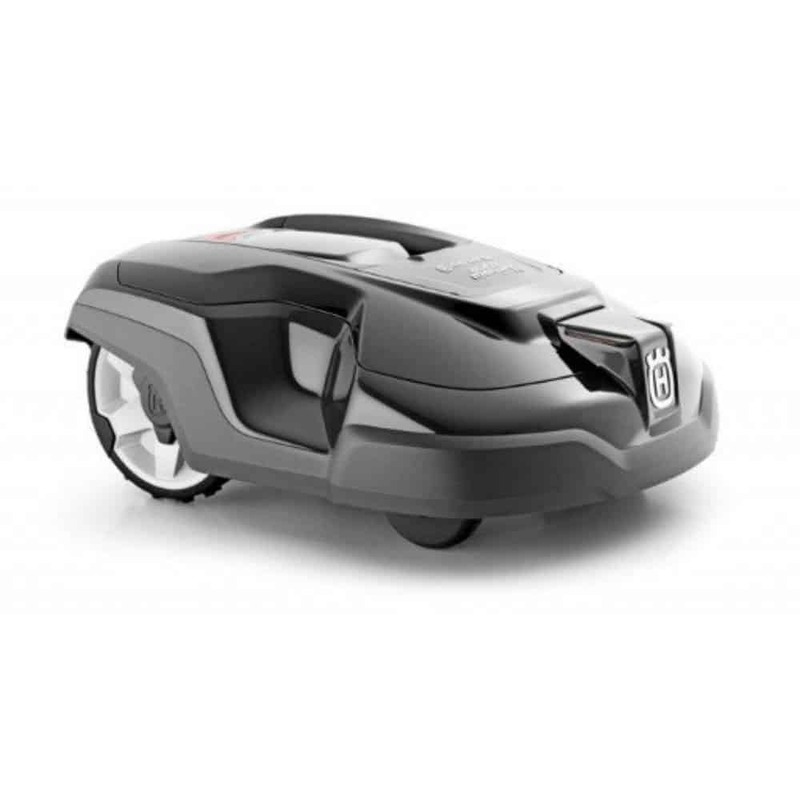 Although, you might want to check out a Robomow model (the RS615 is their equivalent to the Husqvarna 315). They have a specific feature built into them which allows to travel from area to area, it’s called Multi-Zone feature. 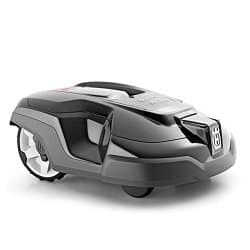 Now there isn’t much evidence to suggest that the Husqvarna won’t be able to handle this, but you can say for sure that the Robomow will definitely be able to, so I think it’s worth checking it out.